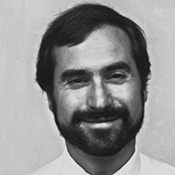 Dr. Allen M. Gown is Medical Director and Chief Pathologist at PhenoPath Laboratories, a Seattle-based national reference immunohistochemistry laboratory founded by Dr. Gown in 1998. He is Clinical Professor of Pathology at the University of British Columbia, Vancouver, and an Affiliate Investigator in the Clinical Research Division of the Fred Hutchinson Cancer Research Center, Seattle. Dr. Gown is an internationally recognized authority in the field of diagnostic immunohistochemistry, having published many key papers in this field over the past 20 years. He serves as a member of the Editorial Board for several pathology journals, and regularly gives workshops in diagnostic immunohistochemistry under the auspices of the United States Canadian Academy of Pathology and the American Society of Clinical Pathologists.